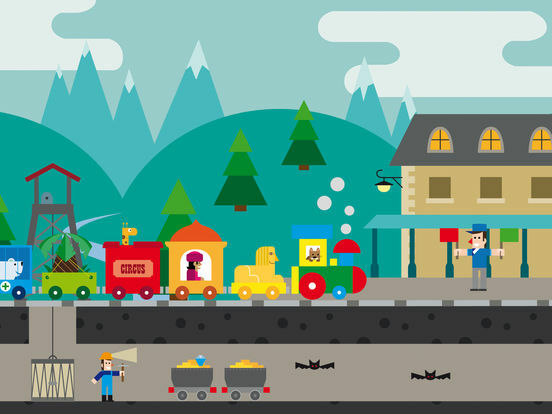 The best kids app for exploring the exciting world of trains! DADA Trains offers a wide variety of entertaining activities where kids can play, explore, create and learn. All aboard! Enter the exciting world of trains with games and activities where you can enjoy a wide variety of experiences. If you like trains, this is your app! Play as a train engineer, explore how steam locomotives work and learn their parts, start your own train collection, create stories while playing and much more. A highly educational avant-garde experience, designed by DADA Company in collaboration with famous artists. This allows you to see and understand how a steam locomotive works. You can learn the engine’s different parts and discover what it’s like on the inside. Tap the stoker to add coal to the boiler and watch how the train goes faster. Ring the bell! 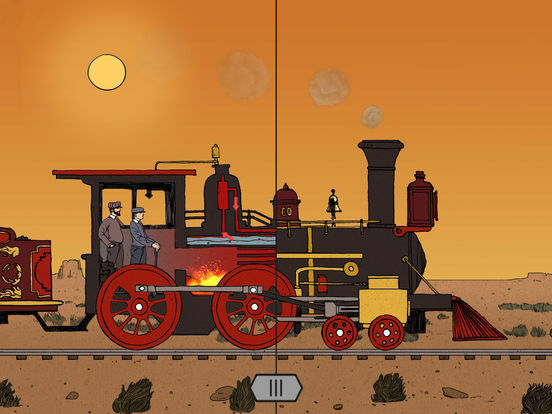 Design your own locomotive and start your own collection! Travel in various scenarios and complete different challenges until you arrive at your destination, Rainbow Station. Create stories as you advance through different scenarios, discover hidden characters, overcome obstacles and explore fantastic worlds full of surprises. 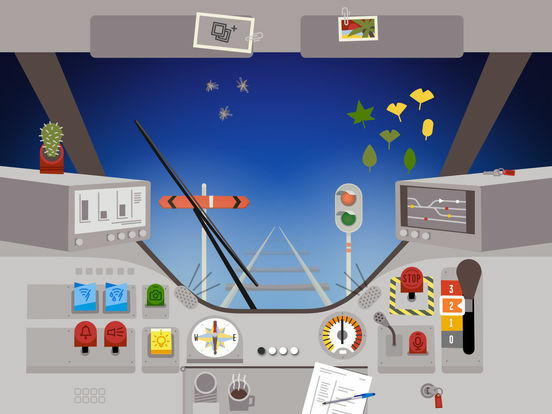 Play as a train engineer using the iPad camera and drive any train you like through swarms of mosquitos, rain, fog and high winds. You can even play music and record your voice! Show your creativity by making drawings or collages of your ideas. Use different paint brushes, play with colors and use stickers to put the final touch on your work! 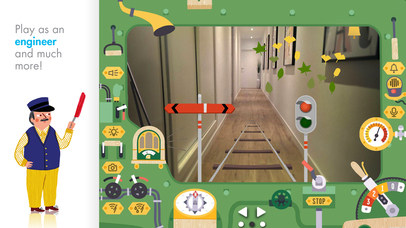 DADA Trains is the first installment in the DADA Collection, a new app concept offering edutainment activities and experiences designed around one common thread. The apps in the DADA Collection are intended for a global audience, illustrated by famous artists, offer a variety of content and are designed to develop the potential of children ages 4-8. 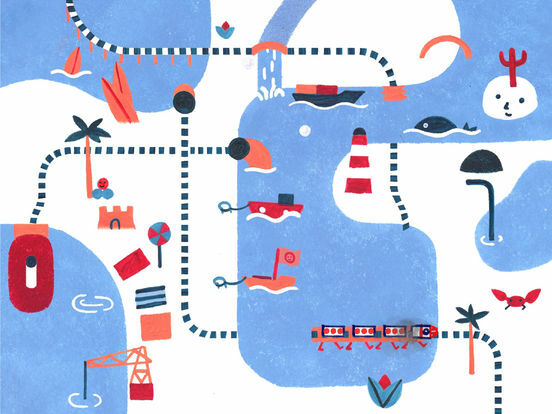 • 5 totally different activities with one common theme: trains. • High-quality graphics created by famous artists that stimulate artistic sensibility, creativity and imagination. • Helps develop children’s intellectual and motor skills. • Encourages discovery, exploration and experimentation and drives creativity by letting the child decide and take control. • More than 10 themes specifically designed for the app. • App recommended for children ages 4-8. We are currently working to add more content, which will be implemented in future updates, so stay tuned for upcoming news and surprises! We offer quality entertainment designed to educate and entertain, and to parents we offer the satisfaction of providing their children an edifying learning experience. We work with educators and education experts to make our products child friendly. If you have any trouble with our app or any other questions or suggestions, feel free to contact us at any time at info@dadacompany.com. We will be happy to help you. Don’t forget to mention the version of your device and your operating system.